Our product range includes a wide range of swarovski embroidery services. Our collection of Swarovski Embroidery Services can be customized in exquisite patterns that are sure to be noticed in the garment industry. Making the best use of superior fabrics, our product is featured with intricate embroidery. 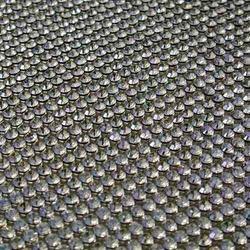 Our embroidered fabrics are also widely demanded by different clients in the global arena.